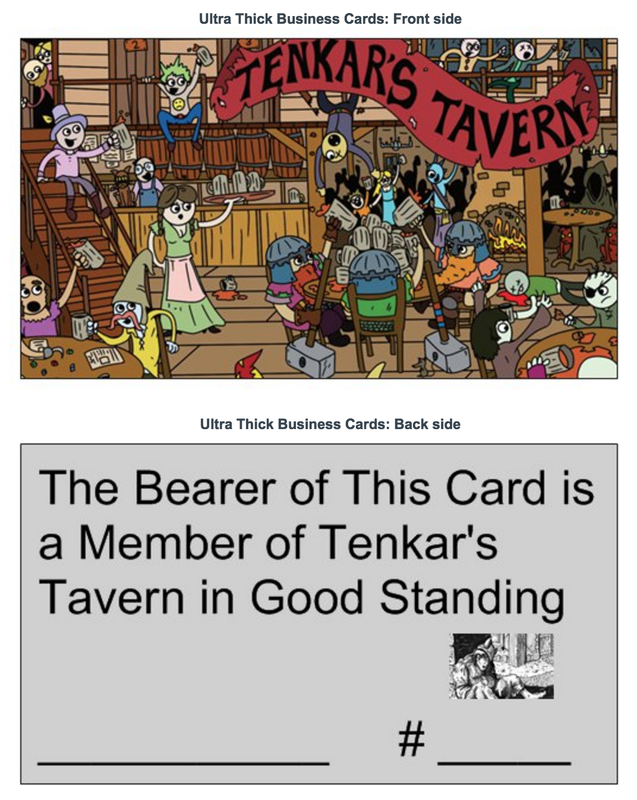 Yep, Bad Mike and his BadMike Books and Games is offering a a free Judges Guild Traveller Item of your choice at the cons he attend as a vendor. Which definitely means NTRPG Con 2017 among others. How do you get this free loot? You need to show him your Tenkar's Tavern Membership card. Wait, you don't have one? It's free. I'll mail it to you on my dime. How do you get your free card? You'll need to email me your mailing address and the name you want on the card. Send the info to tenkarstavernDOTcommunityAT that gmail thing. Yep, brand new email for a brand new way to share our community. Cards are at least 2 weeks out at this point. I'll start mailing the day they arrive, but we're over 75 cards to be sent so far.